A Woolly Yarn: Which Are Your Most-Loved Knits? Which Are Your Most-Loved Knits? Is there a pattern you've knitted that you've really, really loved? 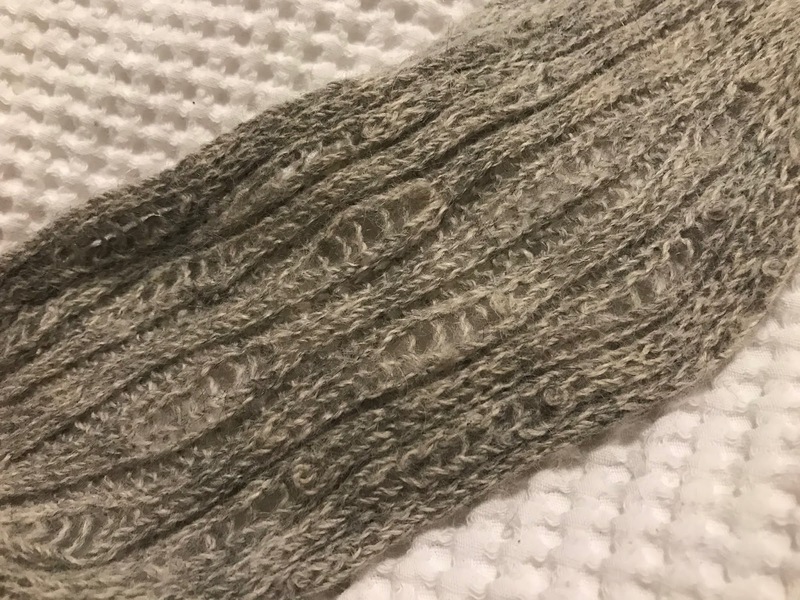 With Valentine's Day coming up, it got me thinking Carrie Bradshaw-style about the hand-made knits I've loved, whether they're a long-term relationship like my Big Wool heart jumper or something new that I'm still in the early throws of delight with. Going through my wardrobe of knitted clothes and accessories for this article I differentiated between the ones I enjoyed knitting and like the look of and the ones I've actually worn lots. I don't know if you're like me, but although I haven't got oodles of clothes, although I'm certainly not in need of any more, I tend on an everyday level to stick to a small selection of them and keep others for 'best'. 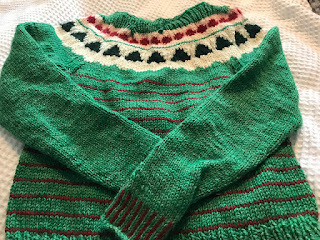 Quite a few years ago I knitted Rowan's heart jumper using their Big Wool. The pattern was from the now discontinued Easy Winter Knits collection, and, after some internet searching, I found that at the time of writing there's one copy left at the online yarn store English Yarns. I'm very fond of this jumper. It's very warm, is roomy enough to fit over other layers, and goes very well with jeans. 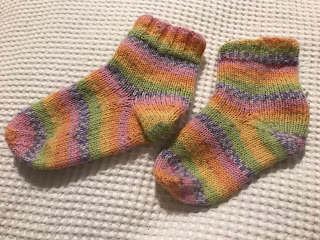 Indeed I liked it so much I knitted two more for my friends. I was a beginner then to intarsia and three goes at knitting the heart taught me a lot about stranded colourwork and twisting the two yarns so there are no holes - although my technique at sewing in the ends still leaves a lot to be desired! 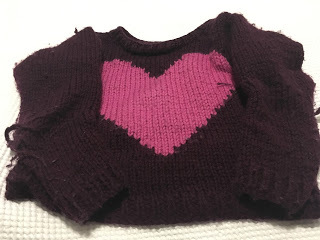 I've worn the heart jumper so much that it has become bobbled and, to use a euphemism, rather 'well worn', but it's still my go-to warmer on very cold days around the house when I want to put on an old favourite. I actually took these off my feet today to photograph them. They were one of my earliest attempts at sock knitting, made with a one-off yarn colour Knitterbocker Glory that West Yorkshire Spinners released for Yarn Shop Day in 2015. Being DK weight the socks are slightly too thick to wear in the summer with trainers but they hit the spot in the Winter when it comes to wearing them with boots or just on their own in the house to keep my feet warm. They've been washed and worn so many times that they've moulded themselves to my feet shape. 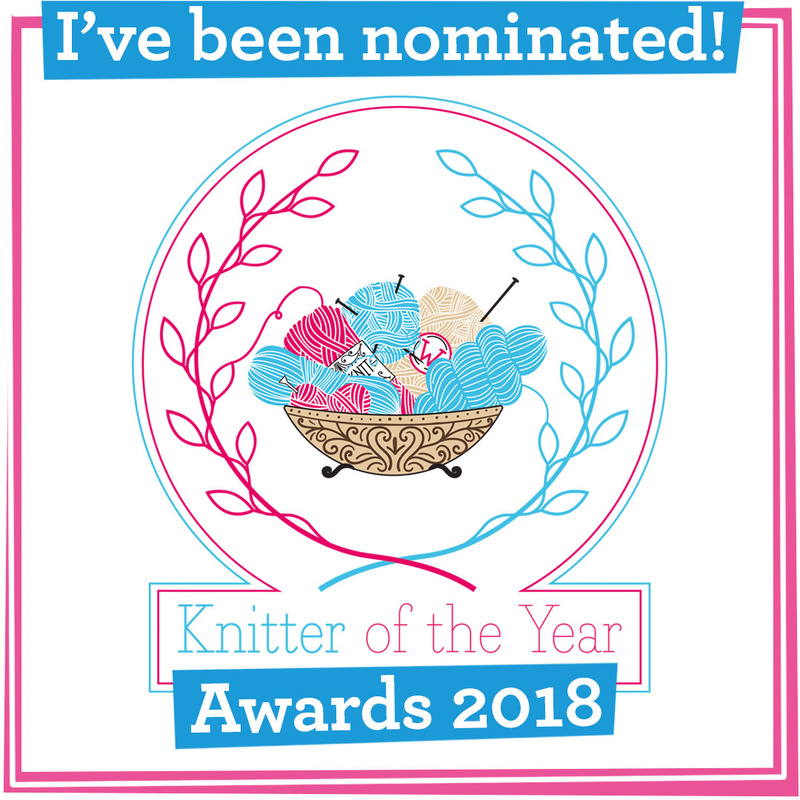 When I came back to knitting in adulthood I discovered the yarn at Toft Alpaca, whose HQ is about a 20 minute drive from my house. Nowadays the company is concentrating on its very popular crochet animals range but back then, before the publication of Toft's book Edward's Menagerie, which spawned many sequels, their focus was firmly on knitting. 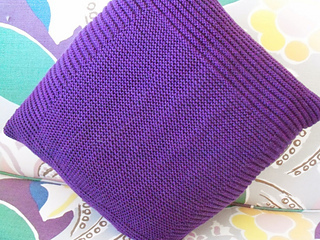 This scarf/cowl's (a thin knitted scarf sewn up at the cast on and off ends) pattern included ladder stitch. As a relative beginner it seemed to me totally counter-intuitive to drop a stitch but I quickly learned the technique. I've knitted many other cowls since then - and have published my own patterns for a few on A Woolly Yarn - but when it's a bit chilly this is the one I reach for most. It's knitted in a grey lace weight yarn (sadly Toft no longer produces it) and goes with absolutely everything. I finished knitting Ginger Twist Studio's Vintage Winter jumper last Spring having bought the kit at Christmastime 2017. 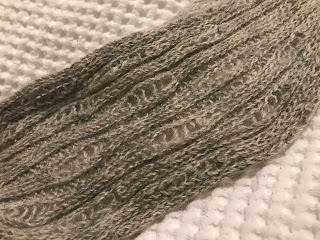 After wearing it near-constantly in December 2018 I'm still in the throws of adoration for its boxy fit, the incredible warmth of the green aran yarn and the sheer fun of the design. Because it has Christmas trees on it's now back in the wardrobe until December 2019, but I'm currently knitting a non-festive version in Ginger's Sheepish Aran pink Trixie Mattel. Finally, as love affairs go this cushion, from a Debbie Bliss pattern book, is the woolly version of a pipe and slippers. When I got back into knitting as an adult I first knitting accessories and this cushion has been a mainstay on my sofa for many years, way before I tried knitting socks, in the round or intarsia. It doesn't have to impress, it's happy in its own skin and it's very comfy to cuddle up to. Want a quick woolly purchase for a treat? 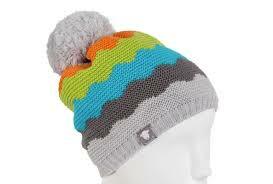 In this freezing weather I can recommend this fleece-lined bobble hat from Herdy. I bought in one in the purple colourway in the January sale to match my new coat - whilst I have quite a few hats I've knitted myself, none really went with my purple coat. The Herdy hat is keeping my head extra warm in icy and snowy weather. Herdy gives a percentage of its profits to the Herdyfund, which supports Cumbria's rural communities, Herdwick sheep and upland fell farming, which means you don't have to feel guilty about buying a hat instead of knitting one yourself. I haven't received a freebie or been paid to plug the hat - I just love it so much I want to spread the word! Which are your most-loved hand knits? 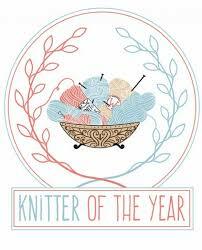 Please post a pic on A Woolly Yarn's Facebook page. It'd be great to see what they are! Is It Cruel To Sheep To Knit With Wool? Can A C Knitwear Help Boost Your Knitting?